In a study published in Biological Psychiatry: Cognitive Neuroscience and Neuroimaging, researchers have found that patients with different types of attention-deficit/hyperactivity disorder (ADHD) have impairments in unique brain systems, indicating that there may not be a one-size-fits-all explanation for the cause of the disorder. The study noted it will take more research to prove that ADHD is a collection of different disorders, but this study provides a big step in that direction. "Ultimately, by being open to the idea that psychiatric disorders like ADHD might be caused by more than one factor, it might be possible to advance our understanding of causes and treatments more rapidly," said Dr. Stevens a researcher. The findings suggest that future approaches using clinical assessments to identify the specific type of brain dysfunction contributing to a patient's symptoms, may allow a more targeted approach to treatment. For example, medications that may not appear to work well in a group of ADHD patients as a whole, may be effective for one particular subgroup that arises from a specific causal pathway. Dietary patterns of the Mediterranean diet can be related to a lower diagnose of attention deficit hyperactivity disorder (ADHD), a recent study published in the journal Pediatrics , which was led by researchers at the University of Barcelona and Sant Joan de Deu Hospital in Barcelona found. The study looked at the relationship between the Mediterranean diet and ADHD in children and adolescents. However, new research is necessary to establish the causality between nutrient-poor eating habits and ADHD, according to the authors. The mechanisms that link a low-quality diet and ADHD are still unknown. However, it is known that an unbalanced dietary pattern can lead to deficiencies in essential nutrients (iron, zinc, magnesium, omega-3 fatty acids etc) for cognitive and physical growth and these appear to play an essential role in the etiology of ADHD. In an American study of more than 2.3 million patients with attention deficit hyperactivity disorder (ADHD), rates of motor vehicle crashes (MVCs) were lower when they had received their medication, according to a recent article. About 1.25 million people worldwide die annually because of MVCs. ADHD is a prevalent neurological disorder with symptoms that include poor sustained attention, impaired impulse control and hyperactivity. ADHD affects 5 percent to 7 percent of children and adolescent and for many people it persists into adulthood. 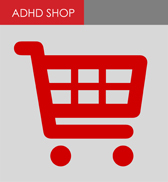 Prior studies have suggested people with ADHD are more likely to experience MVCs. Pharmacotherapy is a first-line treatment for the condition and rates of ADHD medication prescribing have increased over the last decade in the USA and other countries. Researchers in Stockholm, Sweden identified more than 2.3 million USA patients with ADHD between 2005 - 2014 from commercial health insurance claims and quantified emergency department visits for MVCs. The study compared the risk of MVCs during months when patients received their medication, with the risk of MVCs during the months they did not. The study looked at more than 2.3 million patients with ADHD (average age 32.5). Medication use in patients with ADHD was associated with reduced risk for car crashes in male and female patients, according to the results. "These findings call attention to a prevalent and preventable cause of mortality and morbidity among patients with ADHD. If replicated, our results should be considered along with other potential benefits and harms associated with ADHD medication use," the article concludes. Limitations of the study include that it cannot prove causality because it is an observational study.